Prof. Dr. Annette Kleinfeld is a consultant in the field of Corporate Ethics, Corporate Values and Integrity Management. She studied Philosophy, German Philology and Dramatics and received a PhD for her research on ethically based business and Human Resource Management. During her professional career, Prof. Dr. Kleinfeld worked in the private sector as well as in the area of Sciences and Research. Since 1998, she was a “Colleague” of the management board of the consultancy Bickmann & Colleagues, located in Hamburg until she founded her own consultancy in July 2004, today’s Dr. Kleinfeld CEC – Corporate Excellence Consultancy. Her further expertise and core consulting services include the fields of Corporate Governance, Compliance and Integrity as well as the strategic development of organisational Identity and Corporate Culture; topics that are today known under Corporate Social Responsibility (CSR). Since October 2008 she additionally leads the commercial operations of the ZfW Compliance Monitor GmbH, which is specialised in the qualitative assessment of compliance management systems. For many years Prof. Dr. Kleinfeld has been a board member of the German (dnwe) and the European Business Ethics Network (EBEN). 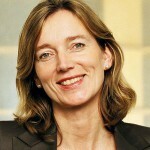 In March 2010 she was again elected into the executive board of the dnwe and is today the dnwe´s Vice Chairwoman. From 2005 – 2010 she was involved as an expert in the German delegation to the international standardisation project ISO 26000 (guidance standard on social responsibility). Furthermore she is a frequent speaker at industry, public and academic events and lectures at different universities (e.g. University of St. Gallen, International Institute Zittau – Central Unit of TU Dresden, Hafen City University Hamburg, Lake Constance Business School). Since March 2014 she is Professor for Business & Society at the University of Applied Sciences (HTWG) Konstanz. Her teaching focus is Business and Economic Ethics, Corporate Scoail Responsibility, Management of and by Values. 2013 Kleinfeld, A./Martens, A.: Corporate History, in CSR Magazin, Heft 10, Ausgabe 2/2013, S. 16-18. 2012 Kleinfeld, A.: Ethik im Facility Management, in: Der Facility Manager, Heft 1/2, Jahrgang 19, Januar/Februar 2012, S. 52-53. 2011 Kleinfeld, A./Franz, P./Thorns, M./ Vitt, J. (Hg. ): Gesellschaftliche Verantwortung nach DIN ISO 26000. Eine Einführung mit Hinweisen für Anwender, Berlin 2011. 2011 Kleinfeld, A./Schnurr, J.: Compliance Training in multinationalen Unternehmen. What works and what doesn’t, in: Grüninger S./ Fürst, M./ Pforr, S./ Schmiedeknecht, M. (Hg. ): Verantwortung in der globalen Ökonomie gestalten. Governanceethik und Wertemanagement. Festschrift für Josef Wieland, Marburg 2011, S. 555-578. 2011 Kleinfeld, A.: Unternehmensberatung, in: Assländer, M. (Hg. ): Handbuch Wirtschaftsethik, Stuttgart/Weimar 2011, S. 455-459. 2011 Kleinfeld, A./Kettler, A.: Unternehmenskultur, in: Assländer, M. (Hg. ): Handbuch Wirtschaftsethik, Stuttgart/Weimar 2011, S. 460-462. 2011 Kleinfeld, A./Kettler, A.: Unternehmensethik auf dem Vormarsch: ISO 26000 macht Ethik zur Norm globalen Wirtschaftshandelns, in: Forum Wirtschaftsethik 19. Jg., Nr. 1/2011, S. 16-27. 2011 Kleinfeld, A.: Gesellschaftliche Verantwortung von Organisationen und Unternehmen – Fragen und Antworten zur ISO 26000, Berlin 2011. 2010 Kleinfeld, A./Hardtke, A. (Hg. ): Gesellschaftliche Verantwortung von Unternehmen. Von der Idee der Corporate Social Responsibility zur erfolgreichen Umsetzung, Wiesbaden 2010. 2010 Kleinfeld, A./Henze, B.: Wenn der Maßstab fehlt – oder wann ist CSR (unternehmens) ethisch vertretbar?, in: Aßländer, M./Löhr, A. (Hg. ): Corporate Social Responsibility in der Wirtschaftskrise – Reichweiten der Ver-antwortung, dnwe-Schriftenreihe, Folge 18, München/Mering 2010, S. 49-71. 2010 Kleinfeld, A./Müller-Störr, C.: Die Rolle von interner Kommunikation und interaktiver Schulung für ein effektives Compliance-Management, in: Wieland, J./Steinmeyer, R./Grüninger, St. (Hg. ): Handbuch Compliance-Management, Berlin 2010, S. 395-414. 2009 Kleinfeld, A./Henze, B.: Taten sagen mehr als Worte – Wenn Anspruch und Wirklichkeit auseinanderklaffen, in: Siegfried J. Schmidt/Jörg Tropp (Hg. ): Die Moral der Unternehmenskommunikation: Lohnt es sich, gut zu sein?, Köln 2009, S. 155-169. 2008 Kleinfeld, A.: Ein Zeichen niederer menschlicher Antriebe, in: Die Nordelbische, Ausgabe 29 vom 20.07.2008, S. 4. 2007 Kleinfeld, A./Kettler, A.: Kulturelles Change Management. Die Einbeziehung ethischer Aspekte in die unternehmerische Praxis als Voraussetzung für nachhaltigen Erfolg und Zukunftsfähigkeit von Unternehmen, in: MQ Management und Qualität, Nr. 11/2007, S. 13-15. 2006 Kleinfeld, A./Schoenheit, I./Wieland, J.: Nutzen und Herausforderungen einer internationalen Norm über verantwortliches Verhalten von Unternehmen und Organisationen, in: DIN Mitteilungen, 09/2006, S. 31-36. 2005 Kleinfeld, A.: Praktische Ethikberatung: Kulturgestaltung und Ethik, in: Grimm, P./Capurro, R.(Hg. ): Tugenden der Medienkultur. Zu Sinn und Sinnverlust tugendhaften Handelns in der medialen Kommunikation, Stuttgart 2005, S. 155-175. 2005 Kleinfeld, A.: Philosophische Perspektiven aus der Praxis, in: Eigenstetter, M./Hammerl, M. (Hg. ): Wirtschafts- und Unternehmensethik – ein Widerspruch in sich?, Heidelberg/Kröning 2005, S. 37-66. 2004 Kleinfeld, A.: Ethikberatung: Die Rolle des Beraters, in: Beschorner, T./König, M. (Hg. ): Integritäts- und Umweltmanagement in der Praxis, München/Mering 2004, S. 103-120. 2003 Kleinfeld, A.: Werte und Wertemanagement. Schlüssel zur integren Organisation, in: Schlegel, A. (Hg. ): Wirtschaftskriminalität und Werte. Theoretische Konzepte. Empirische Befunde. Praktische Lösungen, Nordhausen 2003, S. 46-78. 2003 Kleinfeld, A.: Fusion gut, alles gut? Zur wirtschaftsethischen Relevanz von Mergers &Acquisitions, in: Strähle, J. (Hg. ): Interkulturelle Mergers & Acquisitions, Sternenfels 2003, S. 121-138. 2001 Kleinfeld, A.: Benchmarking the Moral Decision Making Strength of European Biotech Companies: a European Research Project ‘, in: Business Ethics: A European Review, Vol. 10, Issue 2, 2001, S. 122-139. 1998 Kleinfeld, A.: Persona Oeconomica. Personalität als Ansatz der Unternehmensethik (Dissertation), Ethische Ökonomie – Beiträge zur Wirtschaftsethik und Wirtschaftskultur, Bd. 3, Heidelberg 1998. Allan is currently pursuing a PhD degree at the University of Plymouth node Steinbeis University Berlin – Institute Corporate Responsibility Management. His research focuses on responsible business management in developing countries. 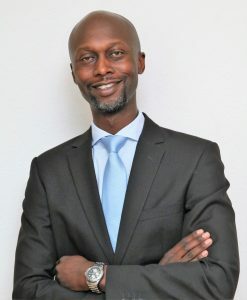 He holds an MBA – International Business Management from Hochschule Furtwangen University, LLM in Commercial Laws from the University of Cape Town, LLB from Rhodes University and a BA (Law) from the National University of Lesotho. Allan is also en-route to receiving a MA in Responsible Management from Steinbeis University Berlin – Institute Corporate Responsibility Management. In his professional capacity, Allan is a co-owner of two businesses in Kenya which are involved in cargo hauling, public service transport, investment and real estate development. Allan is also a Council Member of the Gerson Lehrman Group (GLG) where he provides consulting services to institutional investors. Previously, he was an intern and ‘Werkstudent’ at the Corporate Strategy Department of Rolls Royce Power Systems AG. He also practiced law at TripleOKLaw Advocates in Nairobi Kenya and was a managing tax consultant at ZNC Incorporated Cape Town South Africa. Allan is also an Advocate of the High Court of Kenya. Ayla Esen is an Assistant Professor of Management and Organization at Istanbul Kemerburgaz University, where she also serves as Chair of Department of Business Administration. Assist. Prof. Esen holds an undergraduate degree in Industrial Engineering from Istanbul Technical University. She received her MBA and PhD in Management from Bogazici University (Istanbul, Turkey). Her professional experience includes ten years as an expert and consultant in strategic management. Assist. Prof. Esen’s research focuses on cooperative strategies, scenario planning, participative management processes and social innovation. 2014 Esen, A. & Aşık-Dizdar, Ö. Regional innovation as part of regional development agenda in Turkey: The role of development agencies, Regional and Sectoral Economic Studies, Vol.14(1), 145-158. 2014 Esen, A. Fostering social innovation through e-collaboration. In E. Nikoi & K. Boateng (Eds. ), Collaborative Communication Processes and Decision Making in Organizations (pp.59-71). Hershey, PA: IGI Global. Bruce A. Kibler currently works as Associate Professor and Management Program Director at Gannon University in Erie, PA. Dr. Kibler researches on CSR, CG, Strategy and International Business as well as the Scholarship of Teaching and Learning (SoTL). Dr. Kibler teaches undergraduate and graduate courses in Strategy and undergraduate courses in International Business. Dr. Kibler previously worked at the University of Wisconsin-Superior and the Cologne Business School in Cologne, Germany. Dr. Kibler actively engages in Academic Service Learning and international programs involving virtual classroom engagement as well as teaching summer programs at German Universities. Dr. Kibler attended the University of Maryland, College Park, Johns Hopkins and Matej Bel University in the Slovak Republic. Before embarking on his academic career Dr. Kibler spent almost 20 years in international business in the telecommunications and IT industries working in strategy and business development, predominantly in Europe. 2012 Service Learning in a Business/Project Management Environment: Challenges, Benefits, Lessons Learned. Society of Business Research November 2012. Ceyda Maden Eyiusta is an Associate Professor of Management in Kadir Has University, Department of Business Administration, Turkey. Maden got her undergraduate degree in International Trade from Bogazici University, Istanbul, Turkey in 2004. She received her MBA and PhD in Management from the same university. She wrote her dissertation-thesis on “Person-Environment Fit, Social Exchange Relationships, and Employee Outcomes in Organizations”, published in 2010. Her research interests comprise of the different dimensions of person-environment fit, employee engagement and proactivity, and antecedents / consequences of burnout syndrome. 2012 Maden, C. (2012). Transforming public organizations into learning organizations: A conceptual model. Public Organization Review, 12(1), 71-84. 2011 Dark side of mergers and acquisitions: Organizational interventions and survival strategies. The Journal of American Academy of Business, Cambridge, 17(1), 188-195. 2011 Kabasakal, H., Aycan, Z., Karakaş, F., and Maden, C. (2011). Women in management in Turkey. In M. J. Davidson & R. Burke (Eds. ), Women in Management Worldwide: Progress and Prospects (pp. 317-338). UK: Gower Publishing Limited. 2011 Telci, E. Eser, Maden, C., and Kantur, D. (2011). The theory of cognitive dissonance: A marketing and management perspective. The Proceedings of 7th International Strategic Management Conference, 24, pp. 378-386. 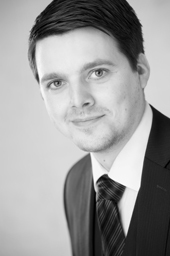 Mr. Heuberger has a degree in Law from University Regensburg and Freie Universität Berlin. He started his professional career at the Trade Union in Berlin and Potsdam. From 1992 until now, he has been working at the Ministry for Environment Brandenburg. Besides his main obligations in the field of environmental policy, he has fulfilled many responsible positions on the job (e.g. Head of the Staff Council, member of the Federal Environmental Auditor Board and Data Protection Officer). 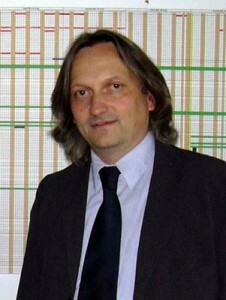 As Resident Twinning Advisor, he carried out two projects of the European Union from 2004 until 2008: The Czech-German project “Environmental Information and Management System (CENIA)” based on the EU-PHARE Program for the EU-Enlargement, and the Serbian-German project “Capacity Building of the Directorate for Water” in the frame of the EU-Neighbourhood policy (EU-CARDS Program). Furthermore, off the job, he is chairman of the management board at the statutory accident insurance. Mr. Heuberger is a scientific advisor of the Institute’s board in the field of environmental issues and a lecturer for the module Environmental Sustainability. He is married and lives in Berlin. Prof. Dr. Felicitas Mocny studied Philosophy, Law and Publicistics. She holds a PhD in Applied Ethics from University of Basel, Switzerland. After a Scientific Association at the “Centre for Justice Research“ at the University of Potsdam, Germany, Prof. Dr. Mocny was leader of the “Institute of Economic and Corporate Ethics“ in Berlin, Germany. Since 2006 she teaches at the Steinbeis University Berlin, Germany; as of February 2008, Prof. Dr. Felicitas Mocny is the Director of the “Institute Corporate Responsibility Management“ at the Steinbeis University Berlin. 2015 Mocny, F. And Feldmann, J. (2015) Implementierung von CSR Maßnahmen im Mittelstand durch das Projekt Kompetenz Konzept, Steinbeis Edition, Berlin. 2010 Mocny, F. (2010) Inspirational Guide: Implementing the PRME in Executive Degree programs, United Nations publication, New York. Jana Heinze is a project manager at econsense—Forum for Sustainable Development of German Business, a corporate network that consists of 32 German globally active companies that have integrated the principles of sustainable development in their corporate strategies. In addition to Jana’s research in government communication, her areas of expertise are demography and diversity management, business and human rights, and sustainability transformation and change management. Jana holds a graduate degree in social sciences from Georg-August University Göttingen, Germany, and a PhD in business administration from Steinbeis University Berlin. Her work has been published in the Journal of Public Affairs and Business Administration Review as well as in several working papers. 2013 Heinze, J./Schneider, H./Ferie, F. (2013): Mapping the Consumption of Government Communication: A Qualitative Study in Germany. In Journal of Public Affairs, Volume 13, Issue 4, pages 370–383. 2012 Heinze, J.: Regierungskommunikation in Deutschland: Eine Analyse von Produktion und Rezeption. Wiesbaden: VS Verlag. 2011 Schneider, H./Heinze, J./Hering, D.: Betriebliche Folgekosten mangelnder Vereinbarkeit von Beruf und Pflege. Expertise im Rahmen des Projektes Carers@Work – Zwischen Beruf und Pflege: Konflikt oder Chance? im Auftrag der Volkswagen Stiftung. 2011 Schneider, H./Heinze, J./Wieners, H.: Betriebliche Familienpolitik im Spiegel bisheriger wissenschaftlicher Forschung – betriebswirtschaftliche Diskussion. In Gerlach, I. & Schneider, H. (Hrsg. ): Betriebliche Familienpolitik II, Wiesbaden: VS Verlag. 2011 Schneider, H./Wieners, H./Heinze, J.: Konzeptionelle Grundlagen betrieblichen Familienbewusstseins. In Gerlach, I. & Schneider, H. (Hrsg. ): Betriebliche Familienpolitik II, Wiesbaden: VS Verlag. 2011 Gerlach, I./Schneider, H./Juncke, D./Wieners, H./Heinze, J. (2011): Status quo des betrieblichen Familienbewusstseins deutscher Unternehmen – Ergebnisse einer empirischen Erhebung. In Gerlach, I. & Schneider, H. (Hrsg. ): Betriebliche Familienpolitik II, Wiesbaden: VS Verlag. 2011 Wieners, H./Heinze, J. (2011): Familienbewusstsein aus Mitarbeiterperspektive. In Gerlach, I. & Schneider, H. (Hrsg. ): Betriebliche Familienpolitik II, Wiesbaden: VS Verlag. Johannes Feldmann completed his Magister Artium degree in Goettingen, Germany and avocationally his degrees in Responsible Management in Berlin and Professional MBA in Krems, Austria. He gathered practical experience in the fields of Communications, International Cooperation and Socially Responsible Investments. Furthermore, he has been working as a CSR consultant with SMEs from different industries. Currently he is employed as Chief Operations Officer at a Berlin based agency working in the fields of regional development and innovation. His theoretical knowledge focuses on Corporate Ethics management, CSR management, Socially Responsible Investments and strategic management. Prof. Dr. Booms is the founder and director of the Academy for Social Ethics and Public Culture (head of advisory board: Gerhart Baum, BM a.D.) in Bonn. He studied philosophy, education and German studies in Bonn. He is also University lecturer for Philosophy and Economic Ethics, i.a. at University of Bonn, St. Gallen and Steinbeis University Berlin; former Director of the corporate department and Vice Managing Director for the Reference Centre for Ethics in the Life Sciences. Special topics: Social, Political and Business Ethics, theory of labor, Kant and Schopenhauer. Special interests: identification and institutionalization of links between scientific theory and political, economic, and societal reality support of the ethics of a critical public culture. 2014 Philosophie und Gesellschaft: Was ist Gerechtigkeit? Begleitbuch zur gleichnamigen Kolloqiuen-Reihe an der Universität Bonn. Hg. v. der Akademie für Sozialethik und Öffentliche Kultur. Bonn. 2013 Philosophie der Wirtschaft. Die nicht-ökonomischen Grundlagen der Ökonomie. Begleitbuch zur gleichnamigen Kolloqiuen-Reihe an der Universität Bonn. Hg. v. der Akademie für Sozialethik und Öffentliche Kultur. Bonn. 2010 Philosophie der Macht. Begleitbuch zur gleichnamigen Kolloquien-Reihe an der Universität Bonn. Hg. v. der Akademie für Sozialethik und Öffentliche Kultur. Bonn. Mohit Mukherjee is an innovator in the education space, focused on developing curriculum in the area of social entrepreneurship. He is the founding Director of the Centre for Executive Education at the University for Peace (UPEACE), headquartered in Costa Rica. He is also the founder of Changemakers International, an organization focused on enabling youth to gain the skills to be social innovators. Mr. Mukherjee started his career in corporate America, where he four years at A.T. Kearney management consultants in San Francisco before making the transition to the world of education. Mr. Mukherjee earned his Bachelor’s degree in Industrial Engineering from Stanford University in 1995 and did his Master’s at the Harvard Graduate School of Education in 2002. He currently resides in Florida, spending a week/month in Costa Rica. 2005 The Earth Charter Guidebook for Teachers, University of Peace, Costa Rica. Sabine Meck did her doctorates in 1985 at Ruhr Universität Bochum and in 1999 at Christina Albrechts Universität zu Kiel as a Dr. rer. soc. and DPhil. Her research and teaching took her to the universities of Bochum, Giessen, Rotterdam, Kiel, Berlin and Mainz. Her main fields of research are Empirical Social Research, Personality Research, Ethics, Values, Moral Intelligence, Attitudes, Financial Ethics, Medical Ethics, Serenity, Happiness and Mindfulness, Industrial Psychology, Management and Social Competences. Besides here scientific activities and work as a university teacher Sabine Meck gained experience in the financial sector by holding leading positions in the investor relations and public relations sectors and as a board member of various listed companies. She published a number of books dealing in particular with the topics of happiness, mindfulness and serenity as well as financial ethics. Since 2008 she has been head of the Steinbeis Transfer Institute of Personality Research and Ethics of Steinbeis University Berlin where she is engaged in research and teaching. From 2011 to 2013 she completed several advanced training courses in mindful counseling, systemic counseling and systemic structural constellation. She is also a curative psychotherapist and is undertaking various advanced training courses in integrated psychotherapy and dream therapy. 2007 Sabine Meck / Johann Landes: Glück und Glücklichsein – unter dem Blickwinkel der Wissenschaft. In: Gesellschaft und Sport als Feld wissenschaftlichen Handelns. Festschrift für Manfred Messing, Niedernhausen/Ts. 2007, S. 11-36. 2006 Sabine Meck/Martin Jehle: „Über den Wert der Freiheit“. Erfahrungsbericht über eine Veranstaltung zur lokalen Erinnerungskultur. In: Deutschland Archiv. Zeitschrift für das vereinigte Deutschland, 39. Jahrgang, Heft 4, Bielefeld 2006, S. 677-681. 2005 Klaus Kocks/mit Sabine Meck: Empirische Sozialforschung: Nicht beweisen, entdecken! Milieus, Motive, Methoden der Marie Jahoda, Bristol 2005. 2005 Dieter Voigt/Sabine Meck: Gelassenheit. Geschichte und Bedeutung. Darmstadt 2005. 2004 Sabine Meck/Johann Landes: Das Rätsel Erfolg. Auf den Spuren eines Phänomens, Darmstadt 2004. 2003 Sabine Meck: Das gute Leben. Eine Geschichte des Glücks, Darmstadt 2003. 2003 Gertrud Pfister/Sabine Meck: Geschlechterverteilung in Führungspositionen des deutschen Sports, Projektbericht, unpublished, Berlin 2003. 2002 Gertrud Pfister/Sabine Meck: „Frauen an die Spitze“: Forschungsteam analysiert die Führungsgremien im deutschen Sport. In: Forum Wissenschaft, Nr. 2, April 2002, 19. Jg., Marburg, S. 23-26. 2002 Angela Deitersen-Wieber/Sabine Meck: Stichwort “Sportsoziologie”. In: Wörterbuch der Soziologie, hrsg. von Günter Endruweit und Gisela Trommsdorf, Stuttgart 2002. 2002 Angela Deitersen-Wieber/Sabine Meck: Stichwort “Alterssoziologie”. In: Wörterbuch der Soziologie, hrsg. von Günter Endruweit und Gisela Trommsdorf, Neuauflage, Stuttgart 2002. 2001 Sabine Meck: Kommunikationsstrukturen auf dem Prüfstand: Eine Vorstudie für die Volkswagen AG über Einstellung, Wünsche und Verhalten von Fachjournalisten gegenüber den Alten und Neuen Medien, Bochum 2001. 2001 Sabine Meck/Willi Martmöller: Körpergewicht, Gesundheit und Wohlbefinden. Medizinsoziologische Ergebnisse einer empirischen Untersuchung von Angestellten in bundesdeutschen Großunternehmen. In: Festschrift für Dieter Voigt, hrsg. Von Sabine Meck und Paul Gerhard Klussmann, Münster 2001, S. 263-276. 2001 Sabine Meck/Paul Gerhard Klussmann (Hg. ): Festschrift für Dieter Voigt, Münster 2001. 2000 Sabine Meck: Arbeit ist das halbe Leben: Arbeitseinstellungen von angestellten Arbeitnehmern und Arbeitnehmerinnen in bundesdeutschen Großunternehmen. Eine empirische Studie (Dissertation an der Christian-Albrechts-Universität zu Kiel), Münster 2000. 2000 Dieter Voigt/Sabine Meck/Sabine Gries: Der sozialistische Betrieb als Schnittpunkt sozialer, ökonomischer und machtpolitischer Beziehungen. Bericht für die Enquetekommission “Aufarbeitung von Geschichte und Folgen der SED-Diktatur in Deutschland”, hrsg. vom Deutschen Bundestag, Bonn 2000. 1996 Sabine Meck/Sabine Gries/ Dieter Voigt: DDR-Juristen im Dienst von MfS und Kirche. In: Von der Wiederkehr des Sozialismus. Die andere Seite der Wiedervereinigung, Berlin/Frankfurt a.M. 1996, S. 253-288. 1996 Sabine Gries/Sabine Meck: Reisekader. In: Lexikon des DDR-Sozialismus. Das Staats- und Gesellschaftssystem der Deutschen Demokratischen Republik, hrsg. von R. Eppelmann et al., Paderborn/München/ Wien/Zürich 1996, S. 487-489. 1995 Sabine Meck: Wohnung und Wohnen in der DDR. Eine Studie im Auftrag der deutschen Wohnungswirtschaft, Bochum 1995. 1995 Sabine Meck/Klaus W. Tofahrn: Sportsoziologie in der DDR – Bilanz einer 30jährigen Geschichte. In: Humanistischer Sozialismus? Der Umgang der SED mit der Bevölkerung, dargestellt an ausgewählten Gruppen, hrsg. von Lothar Mertens und Dieter Voigt, Münster 1995, S. 111-166. 1993 Sabine Gries/Sabine Meck: Das Erbe der sozialistischen Moral. Überlegungen und Untersuchungen zum Rechtsbewußtsein in der ehemaligen DDR. In: Umgestaltung und Erneuerung im vereinigten Deutschland, hrsg. von Dieter Voigt und Lothar Mertens, Berlin 1993, S. 29-60. 1992 Sabine Meck/Hannelore Belitz-Demiriz/Peter Brenske: Veränderung der sozio-demographischen Struktur und Einstellungen von DDRFlüchtlingen/ Übersiedlern im Zeitraum Oktober 1989 bis März 1990. Eine empirische Analyse der innerdeutschen Migration im Zeitraum Oktober 1989 bis März 1990. In: Minderheiten in und Übersiedler aus der DDR, hrsg. von Dieter Voigt und Lothar Mertens, Berlin 1992, S. 9-39. 1990 Dieter Voigt/Hannelore Belitz-Demiriz/Sabine Meck: Innerdeutsche Wanderung und Vereinigungsprozeß. Sozio-demographische Struktur und Einstellungen von Flüchtlingen und Übersiedlern aus der DDR vor und nach der Grenzöffnung. In: Deutschland Archiv, Heft 5, Köln 1990, S. 732-746. 1989 Dieter Voigt/Sabine Meck: Stichwort “Sportsoziologie”. In: Wörterbuch der Soziologie, hrsg. von Günter Endruweit und Gisela Trommsdorf, Bd. 3, Stuttgart 1989, S. 679-684. 1989 Dieter Voigt/Sabine Meck: Stichwort “Alterssoziologie”. In: Wörterbuch der Soziologie, hrsg. von Günter Endruweit und Gisela Trommsdorf, Bd. 1, Stuttgart 1989, S. 10-18. 1987 Sabine Meck/Lothar Mertens: Das Wissenschaftssystem der Sowjetunion und seine Vorbildfunktion für die DDR. In: Elite in Wissenschaft und Politik. Empirische Untersuchungen und theoretische Ansätze, hrsg. von Dieter Voigt, Schriftenreihe der Gesellschaft für Deutschlandforschung, Berlin 1987, S. 175-210. 1987 Dieter Voigt/Werner Voß/Sabine Meck: Sozialstruktur der DDR. Eine Einführung, Darmstadt 1987. 1986 Sabine Meck:Das Verhältnis von Arbeit und Körperkultur in der Sowjetunion. Versuch einer theoretischen Standortbestimmung, Frankfurt a.M./ Bern/New York 1986. 1986 Sabine Meck: Das Leistungsprinzip im Bildungswesen der DDR. In: Hanns Martin Schleyer Stiftung: Kongreß Kreativität und Leistung. Wege und Irrwege der Selbstverwirklichung, hrsg. von Konrad Adam, Köln 1986, S. 254-257. 1984 Dieter Voigt/Sabine Meck: Leistungsprinzip und Gesellschaftssystem. In: Die Gesellschaft der DDR. Untersuchungen zu ausgewählten Bereichen, hrsg. von Dieter Voigt, Schriftenreihe der Gesellschaft für Deutschlandforschung, Bd. X, Berlin 1984, S. 11-45. Prof. Dr. Thomas Grädler is an attorney-at-law with honert + partner mbB, Munich (Germany) and assistant professor at Steinbeis-University Berlin. He advises corporations and partnerships, as well as their shareholders and partners, on all corporate and tax law matters, and counsels companies and financial investors on M&A transactions. Prof. Dr. Grädler studied law at the University of Bayreuth (Germany) as well as Business Administration at the University of Hagen (Germany). In 2006/2007, he was a student at the University of Birmingham (UK) where he graduated from the Master Program (LL.M. : International Commercial Law). In 2012, he obtained his doctorate degree with a thesis in International Loan Securities Law. He finished his second state examination in Bayreuth in 2013 and was admitted to the bar thereafter. Since 2014, Prof. Dr. Grädler works as a lawyer at the law firm honert + partner mbB, Munich (Germany). In 2017, he was admitted as tax advisor in Germany. Dr. Koenen studied law focusing on international law with stages in Rome at the German Embassy to the Vatican and in Singapore working for Arthur Andersen Legal. He started his professional career at the Federal Financial Supervisory Authority (BAFIN) in Bonn. 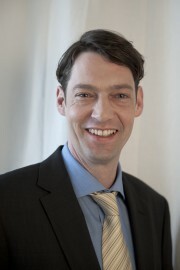 From 2003 to 2011 he worked for the business think tank econsense – Forum for Sustainable Development of German Business, heading the office from 2007 to 2011. In 2011 he became Head of Department for Climate and Sustainable Development at the Federation of German Industries (BDI). In 2013 he moved on to become Head of Department for Strategic Planning and Coordination at the BDI. Dr. Koenen holds a postgraduate certificate in sustainable business from the University of Cambridge and was honorary Member of the Board of CSR Europe from 2006 to 2010. In his dissertation he focused on the topic of business and human rights. He is a lecturer at the Institute for Corporate Responsibility Management at the Steinbeis University Berlin. He is married, has a daughter and lives in Berlin.